Activities undertaken by an organization to control and minimize threats to the continuing efficiency, profitability, and success of its operations. The process of risk management includes the identification and analysis of risks to which the organization is exposed, the assessment of potential impacts on the business, and deciding what action can be taken to eliminate or reduce risk and deal with the impact of unpredictable events causing loss or damage. Our services can be tailored to each client's specific needs to help relieve management of the tedious time consuming tasks that accompany Risk Management & Human Resource Administration. We believe that "One Size" does not fit all and have structured our services to be selectively coordinated and merged with existing in house functions. 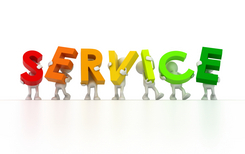 As the needs of outsourcing change, so do our services to provide as much or as little outsourced help as requested.